Body Image – Is Your View of Your Body Impacting Your Ability to Conceive? 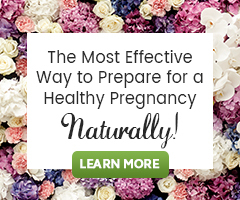 Home → mind-Body Fertility → Body Image – Is Your View of Your Body Impacting Your Ability to Conceive? How many women do you know who struggle with having a healthy body image? It’s true, women are the worst at looking in the mirror and seeing anything but greatness. Women are great! Big, small, tall, short, voluptuous or skinny we are all great. The fact still remains that very few women between the ages of 10 and 100 see their bodies as beautiful, fabulous, intelligent or talented vessels (although with age this falsehood diminishes.) Did you know that this misperception may influence conception? It’s a domino effect; our body image influences our mood and emotional state of mind, which affects our sexual health and intimacy with our partner, which in turn decreases the chances to conceive. We need to choose to believe in ourselves and the beauty that is unique to us as individuals. Here are five tips to help improve your body image. 1. Give yourself credit. Write down all of the things you love about yourself … yep all of them. Write physical, mental, and emotional. Now, take this list to someone you trust to tell you the absolute truth and have them add to the list. Take all of the things you wrote and hang them on your mirror where you will see them every day. Read them every day as you stare into your own eyes. Eventually you will start to believe all that you are! 2. Communicate with your partner. You will be surprised at how much you will learn about yourself through their eyes. One piece of advice, believe everything they say to you. Write it on your sheet of paper and say those things to yourself every day. What better way to melt resentment and build attraction to your partner than hearing how wonderful you are? 3. Call your mom. There is no one in this world who would rather fill you with the best things about yourself. I promise even if she has never told you before, when you ask her, her heart will open up and gush with love. If you don’t have a mom whom you can speak to, call your dad or a sibling who you have a great relationship with. Don’t sabotage yourself and call a family member you don’t get along with. 4. Meditate. Whatever you believe in, spend time every day meditating with your god, the universe, or nature; whatever it is, spend time communing with it. When you go outside of yourself, you see how silly the negative self -talk is and how it’s wasted time. Life is way too short to believe something is that isn’t true. Free yourself and believe in yourself. 5. Pamper yourself. Even though we think it’s a frivolous thing, for women it is essential. Having something to look forward to, like getting your nails done every month, buying a new outfit, or a new hair cut/color does wonders for your self-image. This helps us renew our self-image and feel good in our own skin. I’d suggest being careful with your advice, I know I’m not the only woman who has major hang ups thanks to what my mother said and says about my appearance. They can love you and still be very critical. My best friend in my teens had eating disorders thanks to her mother’s comments on her body, … be careful who you entrust with something so delicate and precious, the damage can be very hard to repair!